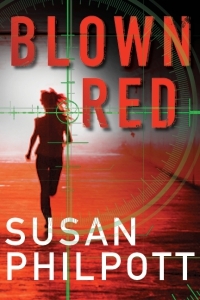 Like a runaway train, Signy Shepherd has been blowing through danger signals all her life. Recruited to the Line, a shadowy underground railroad dedicated to helping women in peril, Signy has no idea that her first solo case will set her on a collision course with a renowned photographer concealing a murderous past; a relentless tracker with an explosive secret; and her own violent demons. The pressure mounts as Signy and her passenger race toward a sanctuary that proves to be a deadly illusion.